Michael Slaughter joined the Astros in October 2015 and enters his fourth season with the ballclub as Chief Financial Officer. Mike comes to the Astros with extensive executive experience in finance, accounting and mergers and acquisitions involving both public and private companies. 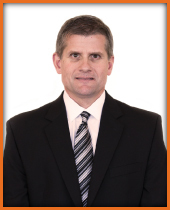 Most recently, Mike served as the Chief Financial Officer of Crane Capital Group. In that position, he assisted Jim Crane in the successful acquisition, operation and disposition of businesses in a wide range of industries, including Crane Worldwide Logistics, Crane Freight Services and the Houston Astros. In particular, Mike played an integral role in the purchase of the Houston Astros and subsequently the Double A Corpus Christi Hooks. From June 2008 to September 2015, Mike also served as the Chief Financial Officer of Champion Energy Marketing LLC, a leading retail electricity provider. Prior to 2008, Mike was the Principal Financial Officer at EGL, Inc., a Nasdaq-listed global transportation and logistics company. 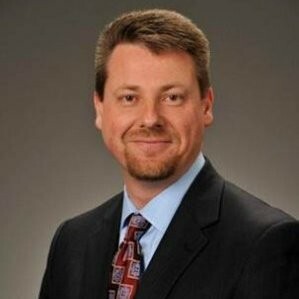 Previously, Mike had also been EGL’s Chief Accounting Officer and VP Finance and Investor Relations. Mike began his career at Price Waterhouse, where he rose to the position of senior auditor while serving public and private clients across a broad spectrum of businesses. Mike earned a bachelor’s degree in business administration with a major in accounting from the University of Texas-Austin in 1988. He and his wife Susan reside in Spring, Texas, and have a son Nick and daughter Emma. Marcel Braithwaite who joined the Astros on Nov. 30, 2012, entered his sixth full season with the ballclub. As the Senior Vice President of Business Operations, Marcel runs the operational side of the organization. He oversees various departments within the organization and its home, Minute Maid Park, as well as third party vendors. He also oversees the operations of several of the Astros minor league affiliates, including the Double A Corpus Christi Hooks, the new high A affiliate in the Carolina League, the Rookie League Greeneville Astros, the new Spring Training facility and Gulf Coast Astros in West Palm Beach, Fla. and the Astros Academy and Summer League in the Dominican Republic. As an operator that likes to roll up his sleeves, Marcel is involved in the daily activity and coordination of each department he oversees and manages the Astros’ Aramark contract and partnership in a similar, hands-on fashion. Marcel began his career in the logistics industry with Aeronet Worldwide in 1993 and then joined Eagle Global Logistics in 1995. Over the course of his career, Marcel worked his way up to senior leadership positions, most recently in the role of Vice President of the Program Management Office, Americas for CEVA Logistics. In that position, he managed the shared services group responsible for third party vendor services to the company, as well as large scale strategic and transformational projects throughout the Americas driving shareholder value. Born in Rotterdam, The Netherlands, Marcel is fluent in Dutch and has lived in a number of locations throughout North America, including in Canada, Seattle, southern California and now Texas.